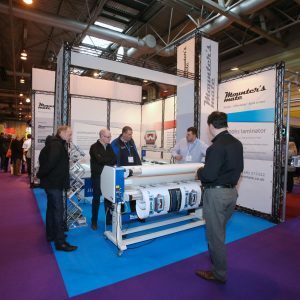 2019 produces plenty of opportunities to revamp your strategies when it comes to exhibiting in the coming year. We recently published a blog post with some of the upcoming trends for 2019 in the exhibition circle, and a lot of these involved social media. Given that this is such a huge element of marketing and exhibiting (sharing your attendance on multiple platforms in advance, running competitions etc) it could never be a bad idea to run through some of the 2019 social media trends that you can incorporate into your exhibition plans this year. Every business should know the importance of presenting their brand, particularly over social media. Giving your business a cohesive brand helps immensely in making your business recognisable and can only help further at exhibitions. Passers-by will automatically form a perception of your company based on your visual identity. If this is recognisable in connection with your social media identity, you have expanded your personal brand to your exhibition. This can be a huge attraction for some businesses, often people will visit a stand purely on the impression from a business’s social media, but it’s the continuation of the brand throughout the stand and those manning it that encourages people to stay and converse. Video has proven itself over and over to be one of, if not the, most popular and engaging pieces of content. According to Forbes, 64% of customers are more likely to buy a product online after watching a video about it. This goes to show that video content has a huge impact in how people will receive you and your business. Incorporating videos of product demonstrations for example, into the display of your stand could be a great persuasive feature to encourage people to request more information or indeed make a purchase. Of course, sharing these videos on social media beforehand will also help create a buzz for your product, potentially encouraging people to visit in person come exhibition day. Another video-based element that could work wonders and is set to hold its popularity in 2019 is live content. Podcasts and live streaming saw a huge increase in popularity in 2018 and were harnessed by several businesses. Live streaming a competition win or Q&A from your exhibition stand could pull in a lot of visitors both online and in person due to the intrigue this creates. When coupled with hashtags related to the exhibition, this could catch the attention of exhibition attendees that previously wouldn’t have visited your stand, but now are due to this association. Instagram and Facebook stories are also a good way to promote the ‘in the moment’ action focused part of an exhibition. This could produce a great amount of traffic for you both on site and online. UGC, or user generated content, is content produced or posted by users of online platforms. It’s already a popular form of content generation for a lot of businesses in their social media plans and can be harnessed for use during an exhibition too. It can be as simple as displaying a slideshow of Tweeted reviews, or as complex as inviting users to become part of your stand or exhibit through programs reminiscent of the Christmas “Elf Yourself” phenomenon, or by creating something to display on your exhibition stand. UGC is great because it really emphasises an engagement between brand and customer, rather than just customer to brand. These interactions harness social media strategies to use in coming exhibitions and help promote a brand as customer friendly. A tried and tested technique proven to give results, influencer marketing is great since the collaboration can help intrigue a completely new audience and invite them to interact with your company. This does not just have to be done online – bringing an influencer you work with to an exhibition could have a great effect on attracting a new audience on the day, leading to more visits from previously disengaged attendees, and therefore more opportunities to sell. If you need help designing a stand or strategy to help align with these social media trends and make 2019 your best exhibition year yet, please get in touch with 200m2 today! Social media allows you to connect with people both at the trade show and those who couldn’t attend. It is a useful tool for before, during and after an event and something that you should definitely be utilising at your next show. It can be difficult to keep your feed updated at a trade show or even just trying to think of what content to post. This is why we have created a short guide to using social media at your next trade show. 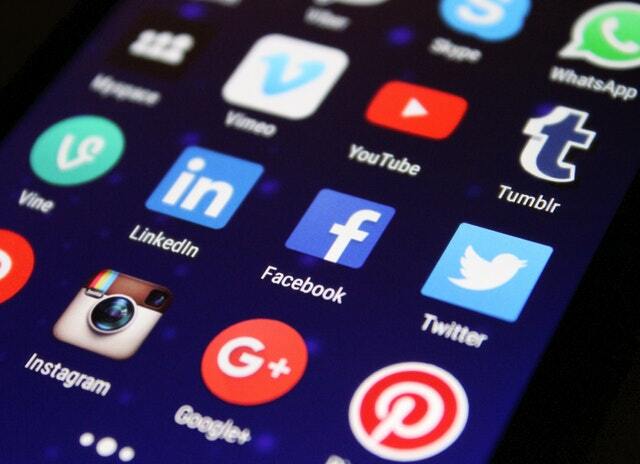 It is really important to keep your social media channels updated throughout the day but remember you are there to talk to the visitors and engage with other exhibitors. If you cannot bring another team member or the social media account manager with you, be wary of how much time you’re spending on your device and when you’re using it. Try to use your device when there are no visitors around or a limited number, this way you are not putting them off coming over to your stand. Another way you can make your device look more professional whether it is a personal phone or work tablet is to get a branded case for it. This way it does look more like a work device rather then you checking your personal phone all day. Social media is such a visual form of content, and it is no lie that photos do much better on social media than just text posts. It is also a shareable form of content so make sure you’re tagging your location, the event organisers and using the right hashtags to get your posts seen. Photos can be shared directly from your Instagram to Facebook and Twitter to save even more time when you’re at the expo, and it will give your other channels exposure. Another form of visual content you could think about using is Instagram stories; this is a story of photos and videos only available to users for 24 hours. Using hashtags, locations and tagging other users in these will help you to gain views and attention from these stories. Photos are not only great for your social channels, but they will also aid your visitors in remembering who you are and what you do. When a visitor sees your photos from the day, they will remember who you are and be able to put a name to a face. Seminars, talks or other exhibitors you know will be great to snap photos of throughout the day. Some trade shows get extremely busy and, especially if you’re on your own, there may be no time to post on social media. This is why it is a good idea to schedule some generic posts about the day beforehand. This way if you are rushed off your feet at least there are some “live” posts about the expo going out – your followers won’t know that they were scheduled. These posts can be generic posts about the trade show that you’re at; they won’t include any photos or specific details about the people you have met. They could mention about any guest speakers you’re hoping to see, the timings for the day or even just to say that it has been a great day so far. Remember to schedule information like any offers or competitions you’re running on the day to keep people informed and attracted to your stand. Facebook Live Video is a brilliant platform to use in general and especially at a trade show. Facebook gives a slight push to live videos as well so it will help all your followers see this post and even notify them when you’ve gone live! Seminars or talks are great to video, make sure you have an unobstructed view and good audio though. Even though it is live, you will still want to keep the quality good. 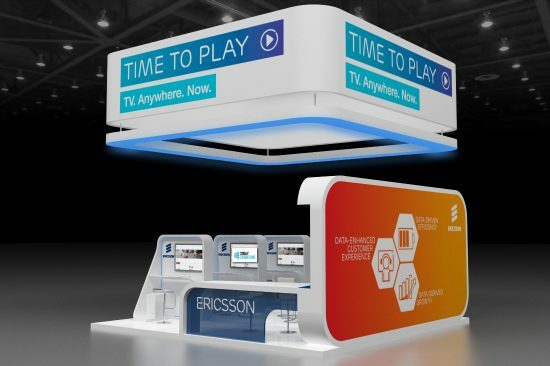 Another idea for a live video would be a tour of the trade show space, showing people who are there and some of the stands – this may help attract people to the event. There are so many ways you can use social media to your advantage at an event like a trade show, so find the way that works best for you and run with it. These are just a few ways you can use your channels to your advantage, and we would definitely recommend using your social media throughout shows. Leads from potential customers are the key to success at a trade show – this could be a potential sale or a new contact you can work with. Taking customer information and following up on that person is something that needs to be a main priority for after your trade show. Taking the information needed to contact a customer can be done in many ways, if you get the basics to get in touch then it’s all good. However, there are some ways that are going to be much more organised then others. Using an iPad for example, it’s a quick way to take details and store them in an organised way that’s easy to access. Apps are available which a customer’s details can be entered, such as lead capture. This will allow you to take all the customers basic details and store them. Another method is taking business cards from a customer or even their social media information is a good way to contact them and connect with them after the show. Another good way of contacting someone after a trade show is through an email campaign so aiming to get an email or even a phone number is a good first step. Social media is a helpful tool, even if you didn’t manage to collect contact details from lots of people. You can use hashtags and location pins to find people who were at the show, who were possibly interested in your stand and connect with them. Following or liking posts from people is a good way to first contact somebody through social media because the stronger leads are more likely to follow, like or even message showing interest. A prompt response after a show has finished to all your potential leads is the best thing to do. It shows you’re interested in them and your stand will still be fresh in their mind. To help people associate your stand and email, attaching an image of the stand may help. Email campaigns are a quick way to contact people, they can be set up before the trade show and customers details can be entered after. When using email, avoid being general, make it personal, include their name and which trade show they attended. Email campaigns are a good way to generate interest but also to discover which leads to prioritise. Responses from emails could mean you need to prioritise speaking to those customers. Regular updates are important to keep people engaged with your company and interested in what you have to offer. Hearing from you once after the trade show and then not again for another month with just a newsletter, will make them lose interest in the company over that time. Keeping in contact after the trade show, giving them updates on products and services, follow up calls if they request and generally showing an interest in them will keep the engagement stronger. If everything is done in a friendly manner, the customer will keep the positive association of your company that they gained from the trade show, making business in the future more likely. If you’re interested in having contact information on your stand, where customers can find you and contact you, then 200m2 can help. We can make custom designed stands for you and would be more than happy to answer any enquiries about how we can help you. 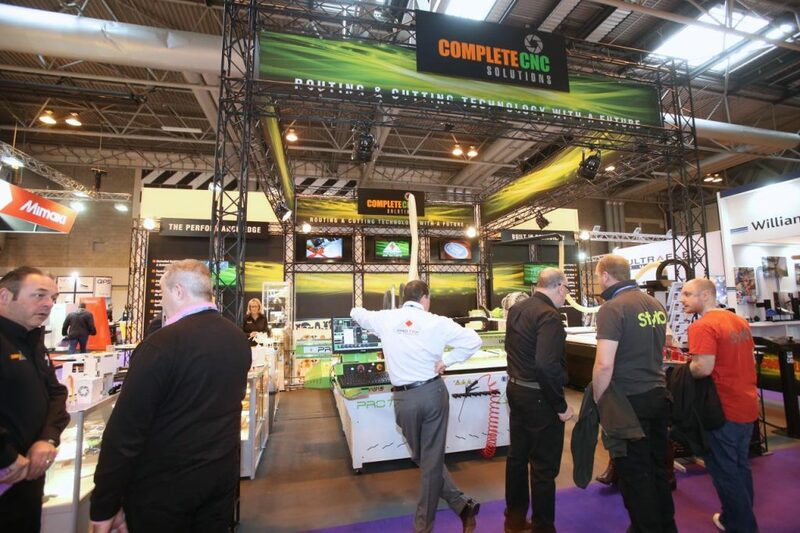 Before an exhibition show social media is going to be your best friend to create an interest around your stand. Creating that buzz is going to be what gets people to your stand, engaging them before you even open your mouth. Not only is social media going to help you before but it’s also going to be useful during the show. Shows and Exhibitions usually have their own official hashtag which will get your posts seen by both attendees and other companies with stands. It’s a good opportunity to network with people before the show with both other companies and visitors. Interesting content using the hashtag is key, hundreds of people are going to be using the official hashtag, you need to stand out and engage your audience. Although posting your booth number and any giveaways is great, that what all companies will be posting. Find out what the attendees are talking about, what they want to know and give them the answers. Generate your own hashtag to use alongside the official hashtag – this will give people a place to find only your pre-show information if they want. A trade show is the perfect opportunity to launch or announce a new product your company offers. Generate interest around the product beforehand, teaser videos and images are great for this. Not giving everything away is going to engage you consumers, making your stand the direct place to find out everything they want to know. Images and videos are best for teasers, you can post them on all social media, reaching the largest audience and using hashtags to reach your intended audience. Keep all the information for the show easy to access. Direct links to a landing page on your website can be posted across all your social media accounts and left in description bars. All the information such as your booth number and timings can go here – this mean you won’t need to keep posting the same thing, there is a direct link always. Pinned tweets and Facebook posts are also a good tool to keep key information, they will stay at the top of your pages when people go to your social accounts. Researching using hashtags and other company’s social media to find out which form of social media visitors are favouring so you can focus your main attention on that channel. Release information about what your stand will offer, are you doing giveaways? Is there a demonstration? Let your visitors know why they should visit your stand. Encouraging people at your stall to use their own social media at and around your stall is going to reach other people at the event but also potential consumers who aren’t there. QR codes, social media icons and quick links are going to be useful to have on and around your stall. Filters are a quick way of people engaging with your stall but also promoting your business so using apps like snapchat and Instagram will work in your favour. Pictures and videos of willing customers at your stall will give an impression of what your stall is about and why they would think about going there. It’s engaging your visitors at the stand as they’re apart of the social accounts for the company. Although it’s important to promote your stand, people want to see something different. For example, if the exhibition you’re attending has talks you could attend one that is most relevant to your customers and live tweet/Facebook with highlights of the talk. This will also engage an audience who aren’t at the show but who could be potential customers. 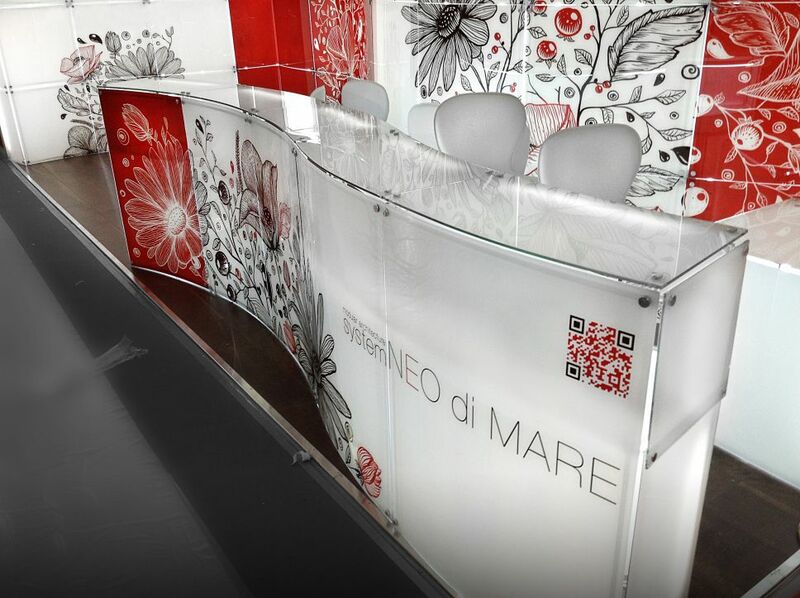 If you like the idea of using QR codes and integrating your social media on the stand, then 200m2 can help. Get in touch with us for our stand services and custom designs we can create for you.